Pink is usually reserved for the female species and even then a girl who likes pink is called girly. Though things have been changing over the past couple years, we all tend to think in that direction sometime or the other! So what about men who wear pink? Are we to call them girly as well? Of course not! Especially now that pink for men has totally been trending in the fashion market. When the fashion gurus give us the green signal, the world follows! And so does the wedding market. 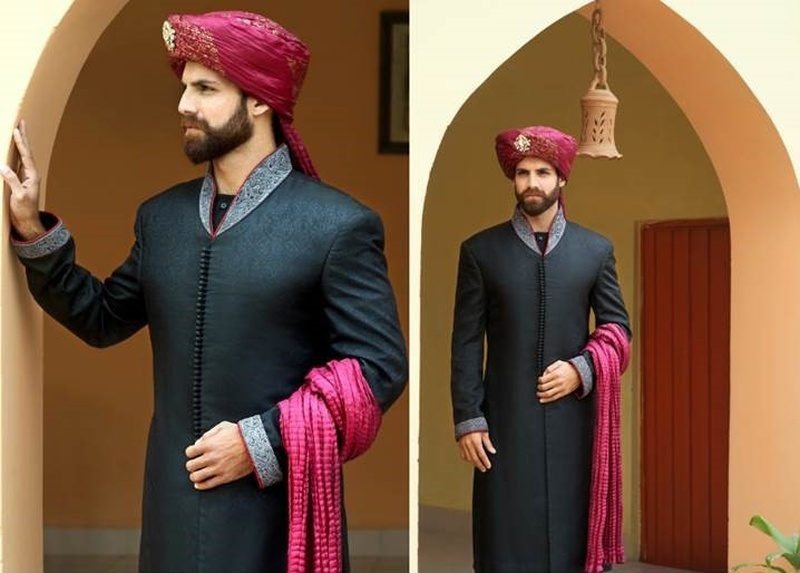 So we thought of compiling a lookbook of some interesting pink groomswear ideas that we loved to help you guys out how to pull off perfect pink look on your wedding day and still look like the dashing man that you are. Check out our guide to other key groomswear accessories here! All-over pink ensembles may look good on the ramp or on high-profile models sculpted by God himself. But we suggest combine pink with other shades such as white, grey or black to tone it down and still pull off a pink look! We personally love subtle floral prints. The pop of pink will look great on a suit of a muted colour! Choose the shade of pink according to the shade of your outfit! Contrasting pinks work well.